Brands are trying more ways than ever to break into new audiences and capture attention. It is becoming very difficult for brands to try to catch our attention as competition increases. So much is happening in social media right now, that brands are having to capture attention and capture a purchase in just 6 seconds. How are these e-commerce brands doing it? 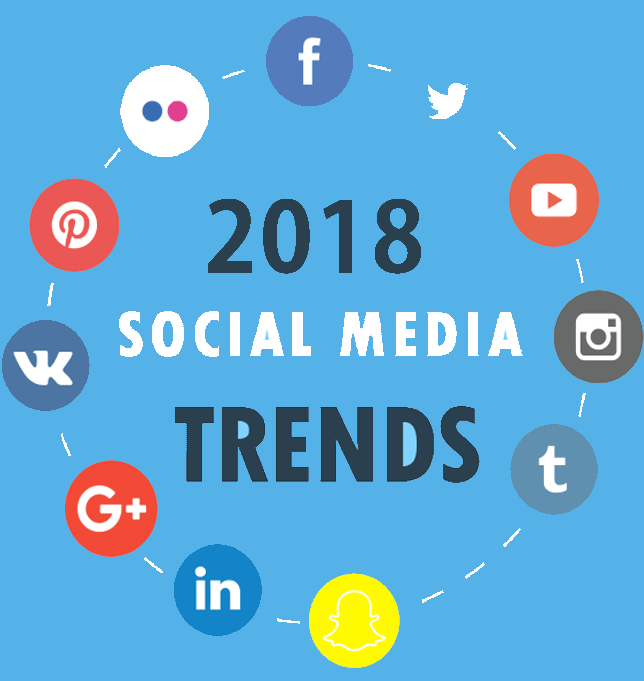 They are following the social media marketing e-commerce trends in 2018 to increase sales, leads, and explode their social media pages in growth. The first thing to note. 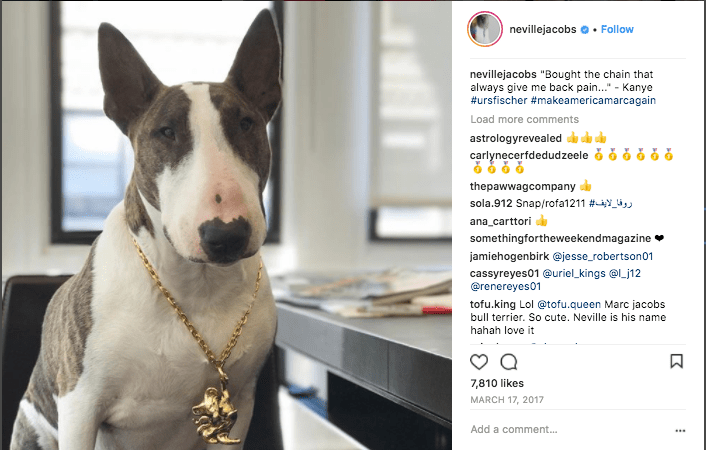 If a pet can gain a following on social media than you can too. With the massive popularity of social media platforms, some brands have still yet to use social media to grow. Others have made half-hearted attempts but haven’t taken advantage of social media for all it’s worth. If you haven’t yet created a strong social media presence than you’re definitely missing out on what is becoming the biggest wave of opportunity, website traffic, and sales businesses have ever seen. But the good news is you can ride the success because now is the perfect time to start using these trends for your brand. Also, it doesn't matter if your just an avid social media user or you are a professional in the field. In this trend breakdown, I’ll help you understand why social media is going to be your ticket to success. Then, I’ll walk you through each trend and how to use it to drive traffic and to increase sales. We’ll discuss some of the proven social media techniques, and look at why some social media strategies are growing in enormous popularity. You'll know how to choose which social media platform to use, and I’ll even give you the information on how to measure your return on investment from trends and these social media techniques. So you can make sure your efforts are being well paid off. By the time you finish reading, you’ll know everything you need to know about using social media for e-commerce. Let's start by looking at what is important for e-commerce brands. The use of social networks for e-commerce transactions is on the rise. 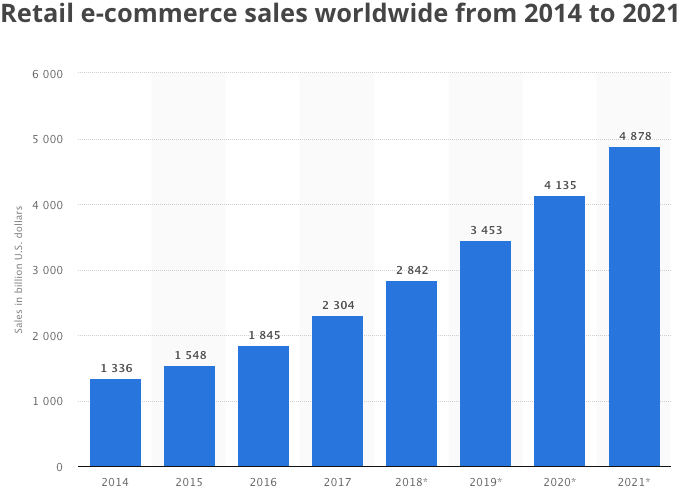 In fact, global e-commerce sales will increase 246.15% by 2021, from 1.3 trillion to 4.5 trillion by 2021. As a result, social networks and brands are now making it easier than ever for consumers to quickly purchase products directly from social media posts. Businesses and marketers are sniffing out high performing content on social media to place on their own e-commerce sites to improve sales through social validation. With all these recent advances in social media and e-commerce, it makes sense to spend some time to understand how this came to be, its current state and what the future will look like. Social shares are dropping and users are now spending more time watching the video and live content. Which also means there is less linking to outside sites. Just because the number of shares is starting to go down, doesn’t mean that social media is becoming less popular. If anything, the use of social media is becoming so prevalent that it's almost impossible to not use it. Social media activity is growing by the second. 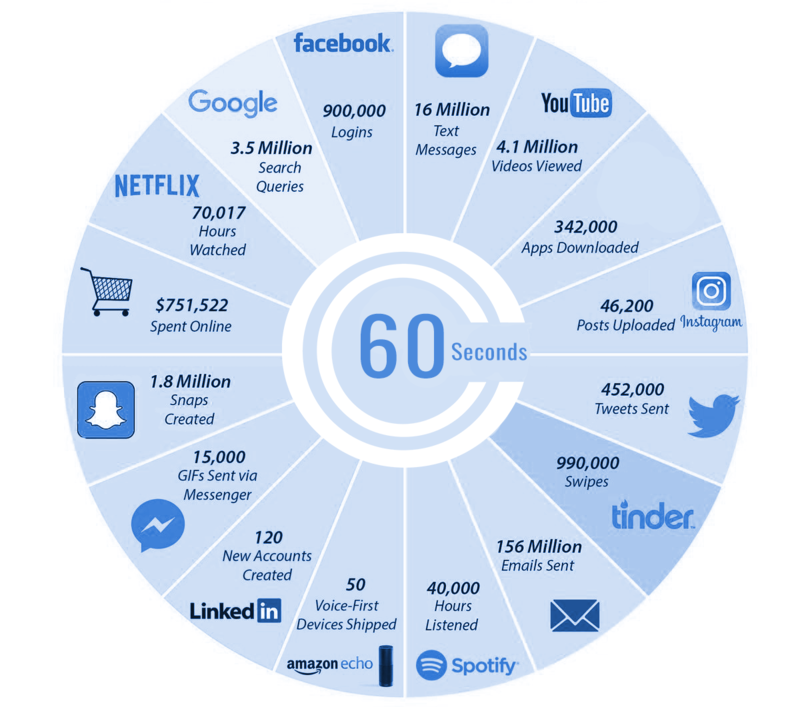 Here is what happens in just 60 seconds on social media. This means the opportunity to drive traffic from social is there. Customers are spending 20-40% more with companies that they have engaged with on social media. Last year, there were 2.46 billion social media users. This year, projections show that the number will rise to 2.77 billion. You can’t ignore a market that huge and especially since e-commerce is growing with it. In the past, companies assumed that if their target market wasn’t teens or in their twenties then there is no reason to be on social media. Everyone from age 7 - 90 are using these social media platforms. Consumers don’t just use social media once in a while. Consumers are getting on social media constantly. Which is, even more, the reason you should be trying to reach them. 2 hours and 15 minutes per day are how much the average person uses social media. Social media is also 80% of all internet traffic. This means that your ideal customer is spending more than twice as much time on social media then they are searching and trying to find your website. So why would you not use social media to direct traffic to sales for your e-commerce business? Ways to drive traffic from social media. With e-commerce, there are two different ways. You can use social media to actually drive traffic to your website which is what this portion will be about, or you can use it to make sales on social media which is what I'll talk about in a little bit. Social media was always promoted and marketed around the idea of these three things: relationships, family, and friends. A place for you to connect. But what is not getting attention is how businesses are using social media to connect with users through those relationships, and friends to drive massive sales. Research shows that customers who experience positive interactions with a company on social media are three times more likely to recommend that brand. If they recommend your brand to their friends and the wave continues well you can expect a great deal of traffic to come your way. Can you think of where they’re going to make those recommendations? Correct: social media so everyone can see. And when someone says something about your business on social media, well let's just say it reaches a lot more people than telling someone in person. 88% of customers are less likely to buy from you if you leave their social media complaints unanswered. If you don’t have a social media presence, how will you answer their complaints? This is something that is becoming very common on social media. People are constantly reaching out to businesses for customer support more than they are calling or emailing. So if you are not managing those questions that come in. Then you probably won't be getting much more business as time goes on. So what's the risk if you still decide you are not going to use your social media as a customer service channel? Poor response time can lead to up to 15% increases in customer churn. 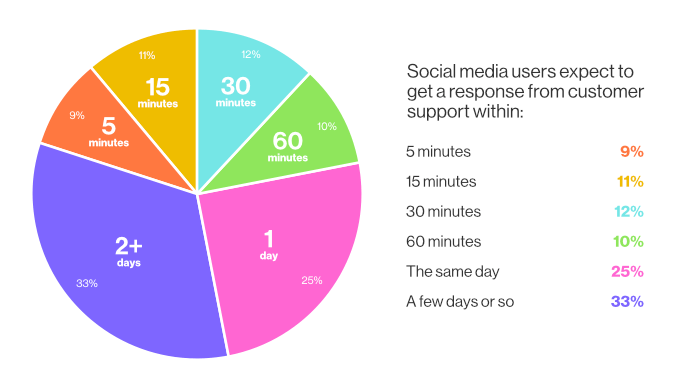 30% of people will go to a competitor if you don’t respond via social media. 31% of people post online after they have a bad customer care experience. And the benefits of best-in-class customer care causes 81% greater annual increase in revenue from customer referrals and the return on investment is 30.7%. Others will see that communication and resolution on social media. That means your brand will always be increasing a positive perception online. If you want to increase traffic to your site, you need to make sure that your social media content is posted at the right time and engaging. 85% of companies plan on increasing their social media video content this year. If you're going to stay up to date with these changes then you will need to post video content too. Organic content is going down and paid ads are being used more. It's getting harder to organically reach people through social media. 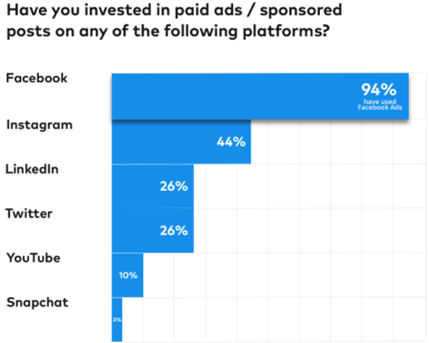 So because of that 94% of companies on social media have paid for ads on Facebook and Instagram is sponsored ads are growing. With brands realizing the value of paid traffic that also leads to bigger budgets for social media. 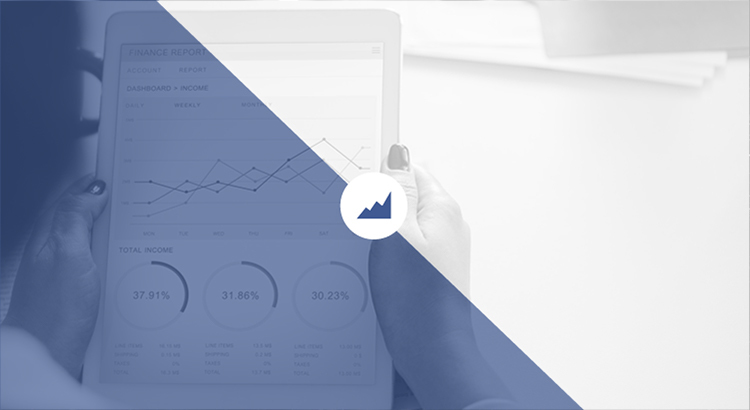 The facts are that only 6% of businesses are not paying for Facebook Ads and two-thirds of them plan on increasing their ad spending this year. That means a few things for you. To benefit from the undervalued cost of social media, it's time to start launching ads. Look at it this way, if all of your competitors are spending money on social media ads to grow their traffic and sales then you should be too. 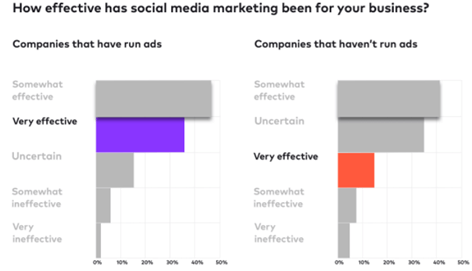 Even the people who don't run ads think social media is effective so imagine want 'effective' really becomes when you start spending money on ads. So if you are not running ads, now is the time to start considering looking at your marketing budget and give social media a shot to bring you mass growth in 2018. But of course, social media has many ways you can drive traffic and sales other than what we just went over. If you remember from earlier a lot happens in 60 seconds on social media so how can you stand out from the competition? You need to produce high-quality content that captivates your audience. It's what has to happen so many people jumped into social media and produce low-quality content just because they know that they should use social media. Quality content will be clear images, videos, give lots of value and be engaging. But that is only a portion to actually achieving the growth. So start posting quality, and long-form video content. You will see a major change in how longer video content on social media will impact your business positively. Viewers spend 8X longer with live video than on-demand: 5.1 minutes for on-demand vs. 42.8 minutes for live video content. As brands compete for an audience in the news feed, live is a key differentiator in who will probably win. Video on social media generates 1200% more shares than text and images combined. 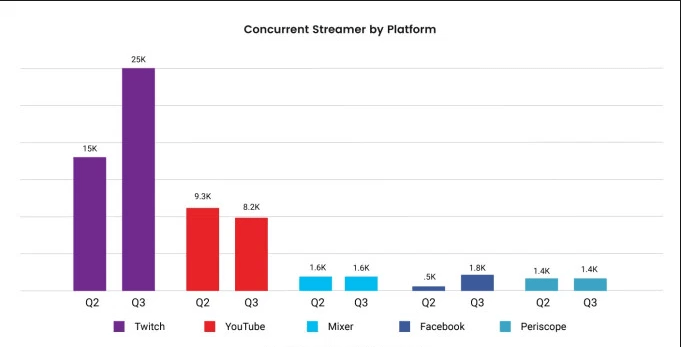 Live streaming has seen so much growth that Twitch a platform for streamers has near doubled in size every quarter and is only expected to grow for 2018. Live videos are good for more than just receiving loads of new brand awareness. They will often lead to conversions, too. Why is there a wave of live streaming taking over social media? Viewers respond positively to in the moment content, they are able to feel more connected with the brand, which leads to more engagement. Live video creates an enhanced customer experience. Always make sure you let your followers and fans know you’ll be live streaming beforehand as well as have a topic to go over for the stream. Remember to relax, and pay attention to the comments that come during the stream. If you start connecting with your audience you are going to build a more loyal audience and will see more sales start to come. The popularity of messaging on social media is big. Just Facebook Messenger alone has 1.2 billion users. Because of this Facebook Messenger Chatbots are being created to automatically increase engagement using messaging channels. 89% of consumers say that they would like to use it to communicate with businesses. 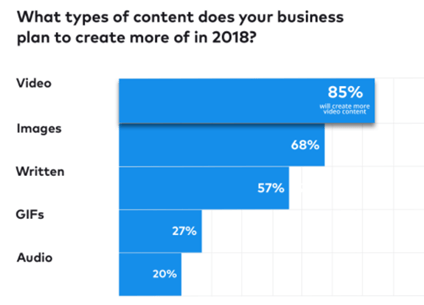 67% of businesses realize this and have already started to plan to increase their messaging on social media over the next two years. Automate conversations increased engagement and faster response time. Creating a sales funnel increase online store sales and higher CTR. Pushing out announcements higher open rates. Providing resources will streamline the process. 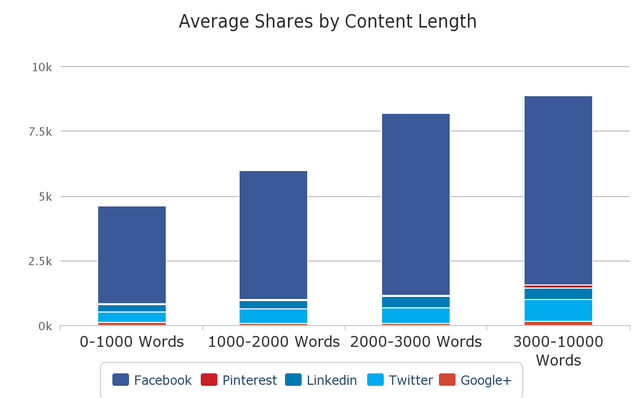 Sharing new content increased traffic, sales, and conversions. 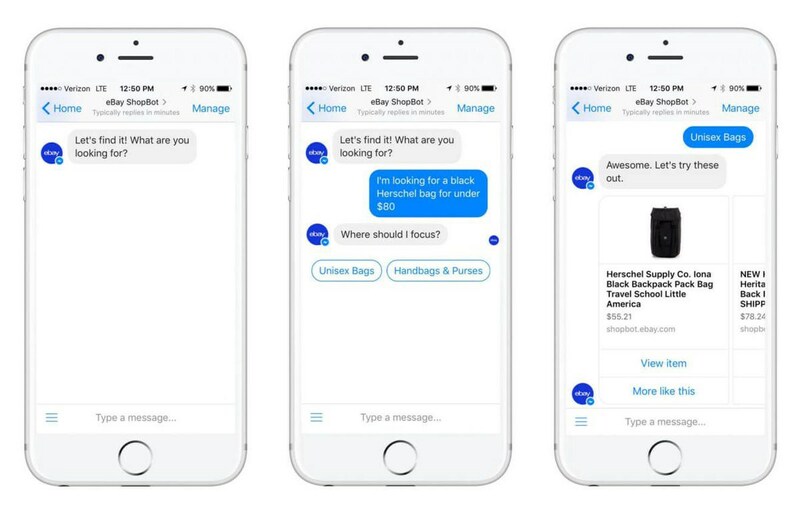 A Facebook Messenger Chatbot can automate sales, help desk, complaints, and so much more. Remember how we talked about customer service? Well, chatbots are a great way to start saving you time and energy which comes with many obvious benefits. Did you know Instagram Stories have passed 250 million daily active users, growing faster than Snapchat? Using Instagram stories can be a great engagement tool for social media. The story feature allows users to post videos and photos that disappear in 24 hours. You can even use the Story feature to create simple polls to collect valuable customer data. It should definitely be part of your social media strategy if your target demographic is on Instagram. You can archive stories to be then kept on your main profile that never disappear. It can be a great way to promote other content or showcase new products. How to sell more on social media. Are you looking for the ways to boost sales and revenue through social media? If yes, then this is definitely the section for you. First, your success is going to depend somewhat on your target audience and where you can reach them while having the biggest impact. So make sure to choose the correct social media platform to put your focus into. You need to understand the strategies that we have talked about that way we can move customers through your social media marketing funnel. 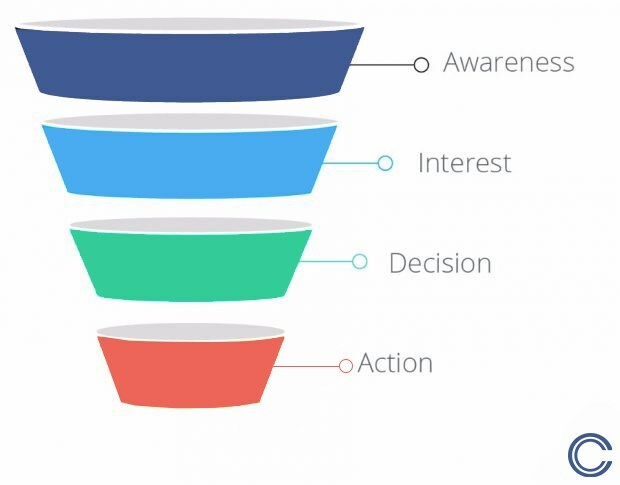 Here is how most social media marketing sales funnels are broken down. Businesses know that social media is all about being social and having a place to capture that attention. It makes sense too. Because businesses want to make sure they don't lose traffic. So they create social media profiles, add their logo, and gain a few followers, post 1 time a month and maybe get a comment. Meaning if this is the only part businesses focus on then it's not going to help them they are going to need to push people through the 3 next phases in the sales funnel to get massive results. Now once you have begun driving traffic, you can start to follow the next steps to ensure the most effective results come from that traffic. The social networks Facebook and Instagram are always changing their algorithms to improve the user experience on the platform. Which means getting your business and products visible is going to increasingly require you to pay to reach your audience. If you’re setting up you're first paid Facebook Ad, then check out my free report that will guide you. If you're going to use a content promotion strategy then it should be your top performing content that you know works. The process of following up with a customer and constantly staying with them through ads no matter what device or platform they are on. Meaning remarketing allows you to pull people back into your funnel so you can get that sale. The more you can remarket to specific audiences from each funnel stage the more you will see your conversion rates increase. Make sure you have the Facebook pixel installed if you decide to use that platform. Being able to purchase from within the social media platform itself makes it easier for the customer. You can set up shopping carts on your Facebook page with an app like Ecwid. You are able to choose on your Facebook page if you want to send people to purchase on your website or allow them to purchase from within the app on your 'shop' tab. 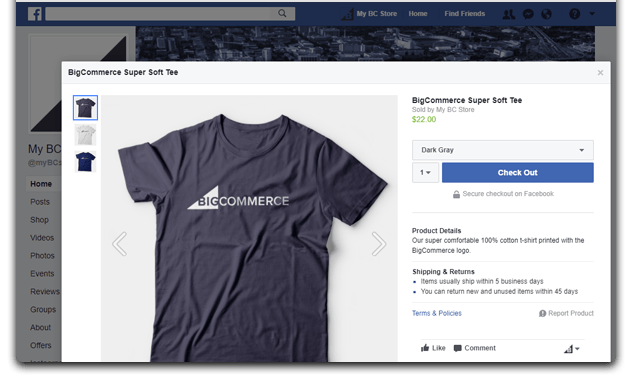 Creating a shop on Facebook allows for you to increase sales, engagement, and Facebook is happy because now the user does not have to leave their app. Same for Instagram add product tags in your photos so that way when a user might see something they like they can click the photo and then checkout. This has become a very popular feature to use and has created great success in selling through Instagram. Once you get 9 posts with products tagged. 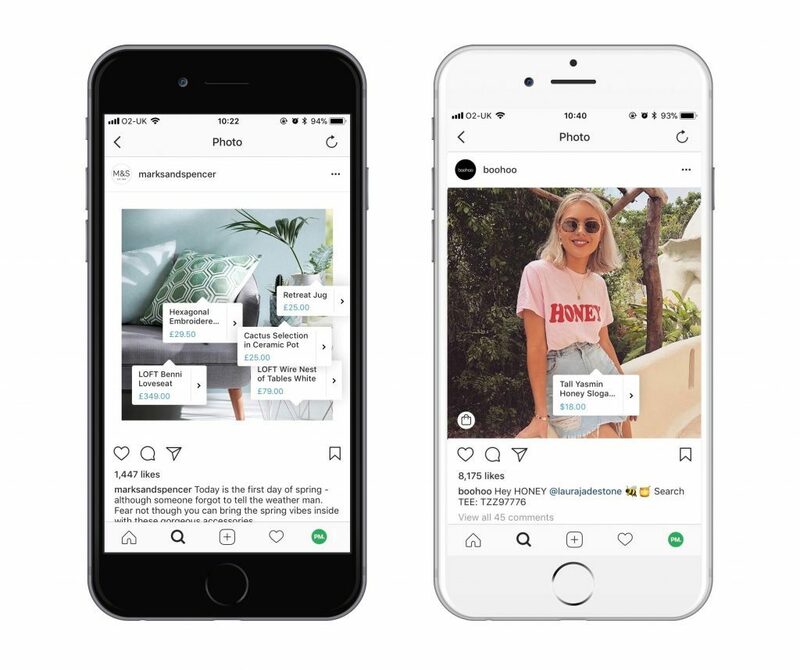 Instagram will create a special shopping tab that is on your Instagram profile that shows only the photos that have tagged products. Which is great for consumers who want to browse the products that they can purchase from within the app. 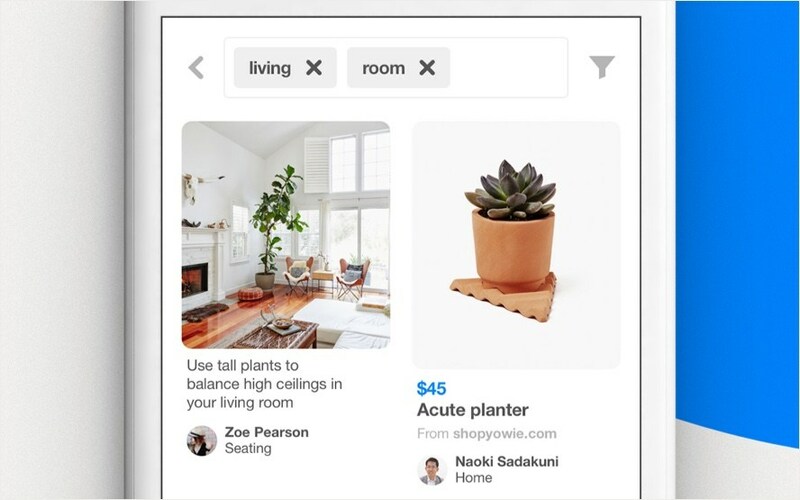 Pinterest has a “Buy It” button. A perfect tactic to use for getting more sales from the app. It allows for impulsive buyers to make a purchase right then and there. Adding in-app purchases is a great way to go because not only does it help in lifting your sale but it also will show a relevant product of yours to the consumer. Meaning it shows the product that will have the best chance of being purchased. Now if you're looking to increase sales over the long-term then I would recommend having in-app purchases and if you're looking to get quick sales in the short-term then influencer marketing is the way to go. 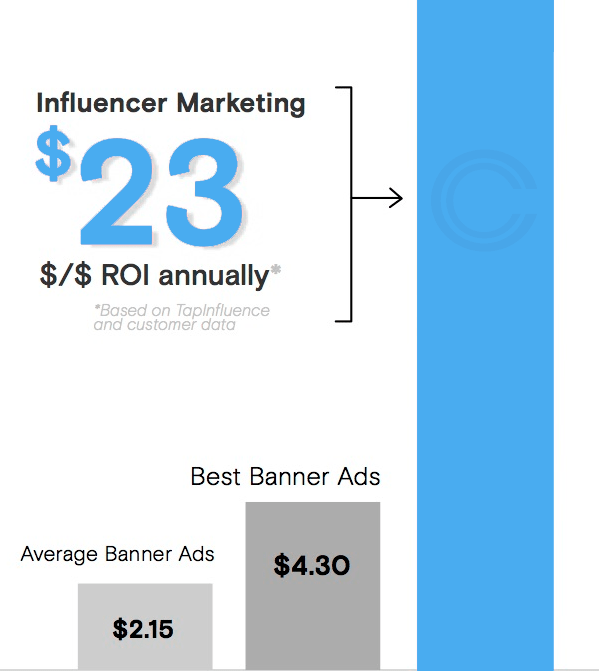 Influencer marketing delivers up to 11X ROI over other means of advertising. This means if you can get an influencer to promote your product to their following you will have a way more likely chance of increasing your sales, and brand value. 67% found it so effective that they are planning to increase their budget and there has already been a 59% increase in influencer marketing budgets. Influencers have been taking over a large portion of marketing spend and will continue to do so as they have been bringing in billions of views and followers. People trust influencers more than they can trust a business. Influencers are really great at building a connection with their followers which means if they say your product is worth the purchase. Then you can expect their followers to believe it. 40% of people have made a purchase solely based on a tweet from an influencer. This means a single tweet from an influencer could major upside potential for growing your sales. Twitter might hold great results for sales from influencer marketing but here are the most popular platforms to effectively obtain sales from your spend. More customers are trusting influencers every day. Which is a very good lesson to learn that if you can connect with your followers and build trust you are going to have a higher rate of getting sales from your social media effort. 92% of consumers trust recommendations from individuals they don’t even know more than they trust recommendations from brands. Not sure why or how this came to be but you can't deny that it is working. UGC is the way to go if you are wanting to spend less on getting influencers to post about your brand. UGC not only will lift sales but it will also build a loyal audience that trusts what your brand says and does. One way to do this is by using user-generated content as much as possible. It's not perceived as spamming or annoying, people actually love it and engagement will prove it. UGC are posts from customers showcasing the brand they bought from on social media. In order to post to your page, you can just repost it and show that how your customers use your product. Get user-generated content by looking at the tagged section on your profile that your customers have shown you in and giveaways. Giveaways are by far one of the best ways to generate sales, engagement and get user-generated content. Frank Body relies heavily on adding user-generated content to their Instagram feed. Notice how Airbnb tagged the person who took the photo. That's because it will get your followers to start wanting to share your brand in order to get featured on your profile. So if you want to gain trust and lift sales. Then start using a UGC strategy. 68% of users are engaging with brands regularly on Instagram. Instagram is by far one of the easiest platforms to grow a following and gain tons of traffic through using hashtags. It's also a great platform to start selling on because many brands have not even gotten on the platform yet. That gives all the more reason to use Instagram to your advantage. Instagram organic reach is only getting better. The more followers you get on Instagram the more likely they will see your posts that have not been promoted. As compared to Facebook which is the opposite. The more followers on Facebook you get than fewer people you will continue to reach. Your average order value will increase with Instagram with the more engaged followers you get. Start using the Instagram location feature so people in the area can find your page. When they get to your profile the CTR for going to an e-commerce site goes up. So if you want to get e-commerce sales then Instagram should be a channel your brand uses. Instagram is especially effective when it comes to selling e-commerce products that are visually appealing. 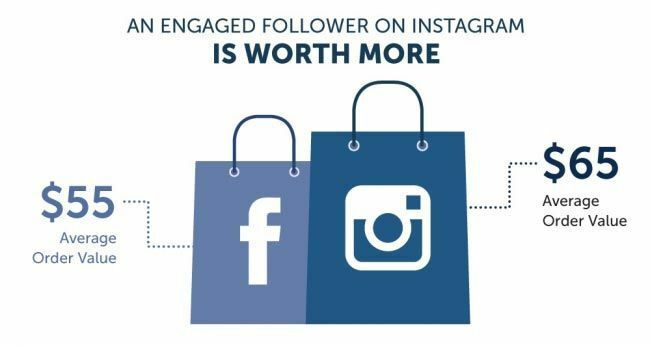 An Instagram store can greatly impact the engagement your page has. For example, if you use Shopify they have an easy way to connect your page to your account so you can set up product catalogs and the shop section. But don't go crazy with posting product images. You need to balance your content with the 80/20 rule. Smart ways to improve your social media. We have gone over increasing traffic and growing conversions. Here are some quick ways you can boost your social media. Remember from earlier the live videos. Mobile audiences are getting bigger and live video is growing right there with it. What you should also know is that a huge percentage of people watch videos on their phones. So why not go live. Facebook says you should provide content in vertical format. People rarely turn their phones anymore. 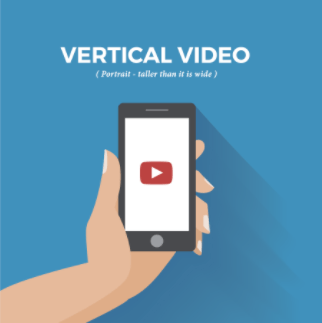 Everyone is looking for convenience and mobile vertical video is just that. Keep this information about your viewers in mind as you create content. To get the most out of social media. It's not always about trying to push a hard sell. You saw influencers are so successful. They connect with their audience, build trust. Want to know why the 80/20 rule is so effective? If all you do is promote, you will find it hard to have a connection with your audience. Make sure to go all in on what works. Really trying to manage everything without the proper team can be hard to start with one or two platforms and go from there. Pay attention to conversion jumps so you can see what content works best. Another way to increase traffic add your social media links to your site. Run a giveaway to generate 1,000's of followers and customers. Choose which social media platforms to use. You need to understand the sales process of your audience and create a social media strategy tailored to the demographics of each platform. Pinterest has a large female audience. Twitter has the largest U.S audience. Facebook is the largest platform with 2.13 billion users with the highest mobile usage. Instagram is the best platform for sharing photos. Google+ has over 300 million active users. LinkedIn is best for B2B. If you are unsure which platform to choose then go with Facebook it is almost always a good platform to start on. Social media is the opportunity you do not want to miss. E-commerce brands are able to leverage the platform for massive potential. But even then there are so many e-commerce businesses who haven't started on social media or they are not sure about what to do. If that happens to be you, don't worry it's still not too late. I have gone through many ways you can improve your e-commerce brand and increase sales. The importance of driving traffic and making sure people get through your sales funnel is a must. We've gone over the many benefits of each social media platform. In-app purchases are a fast way to lower the number of steps it takes someone to purchase from you. Remember it's all about making it more convenient for your potential customers. How are you applying these social media marketing trends to your e-commerce business?